* At the top, Interlude exudes cedar and bergamot with a touch of violet. * The violet fades, as the cedar feels like it is actually burning in a fire and is joined by a harsh, vetiver grass. * The burning cedar emits a smokey haze which creates an incense-like feel with amber and a touch of all spice sweetening it. * The smoke mellows as leather and a dirty patchouli ground it. * In the deep dry down, a touch of sandalwood adds some creaminess to the haze of patchouli and leather. Summary: I used to laugh when people called clothes – ‘easy to wear’ – I always thought ‘you put on clothes and you wear them.’ As I experiment with scents, I get it. There are some scents that are easy and effortless – others are challenging and more difficult to wear. Interlude Man is a challenging fragrance with both its complexities and extremes. When they say the scent is meant to evoke an air of disorder, I totally get that. The vetiver is harsh, almost to the level of being unpleasant. The smoke is powerful at times and almost becomes unbearable. The cedar is quite sharp at points. Interlude is definitely an experience and a journey. If you are looking for a challenging adventure, Interlude might be for you. I will stick to the Amouages that I love – Memoir woman and Epic man, and of course, their attars – Al Andalus and Al Shmoukh. Amouage fragrances are available from Luckyscent, Aedes De Venusta, MIN New York and select boutiques. Disclaimer: Sample provided by friend. 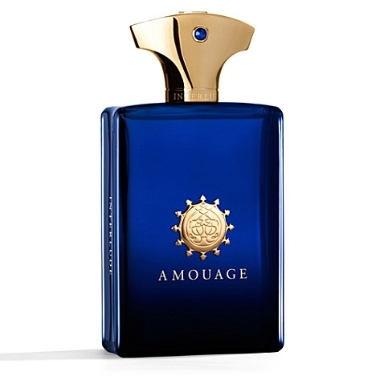 Image courtesy of Amouage. Is it bad that I think of this one as a sport fragrance because of the blue glass that reminds me of Polo Blue?